Almost half of calls made to 999 are not emergencies, Northamptonshire Police have revealed. 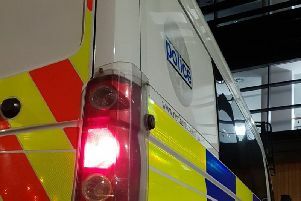 Despite the fact that the emergency number is only intended for situations that are immediately life-threatening or involve a crime being committed at that moment, police have said that 48 per cent of calls received on the line are to report less critical incidents. Among these low-priority calls are suspicions about dangerous food, including a man claiming that his bananas had spider eggs on them, and a woman who suspected that wine gums dropped outside her address may be poisoned and linked to recent narcotic dog deaths. Some have tried to report finance-related issues, such as a complaint about a masseuse being too expensive. More obscure calls include a patient reporting that their dentist had assaulted them by giving them a filling, and a resident unimpressed at spotting a toad in their garden. One called to say that an eagle had been seen in the area and claimed it was responsible for the recently reported disappearance of 30 cats. Meanwhile, police also received calls from people who did not wish to report a concern at all, with one merely offering sexual favours. People who wish to report non-life-threatening concerns to the police are asked to call 101 as wasting police time is an offence which can carry anything from an £80 fine to a six-month prison sentence. A police spokeswoman said: “999 and 101 should be used responsibly. Visit www.northants.police.uk for more information.